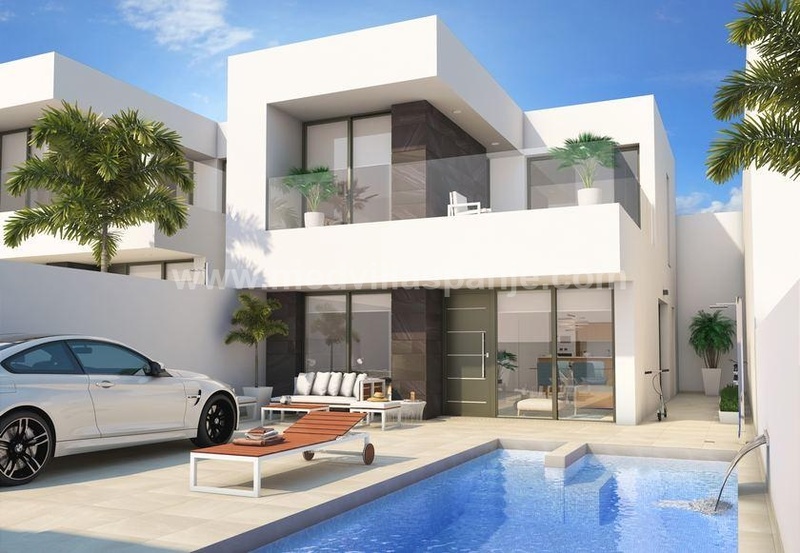 These low-rise apartments, located a short distance from the beach of Torre de la Horadada have 3 bedrooms, 2 bathrooms (one en-suite), a beautiful designer kitchen, a very bright living and dining room, beautiful open terraces and parking for the car. There are two different models of apartments in this residence. The ground floor apartments have a private garden. The upstairs apartments have a terrace and a solarium. Garden with communal pool. Located only 20 minutes drive from San Javier airport and 40 minutes from Alicante airport. Here you can enjoy the beautiful beaches and walking routes along the charming coastline of the Costa Blanca.